YOKOHAMA - An old briefcase containing draft plans and other documents linked to U.S. architect Jay Hill Morgan, who designed the former Marunouchi Building near Tokyo Station among other structures in Japan from the 1920s, has been discovered in Yokohama, local officials said. 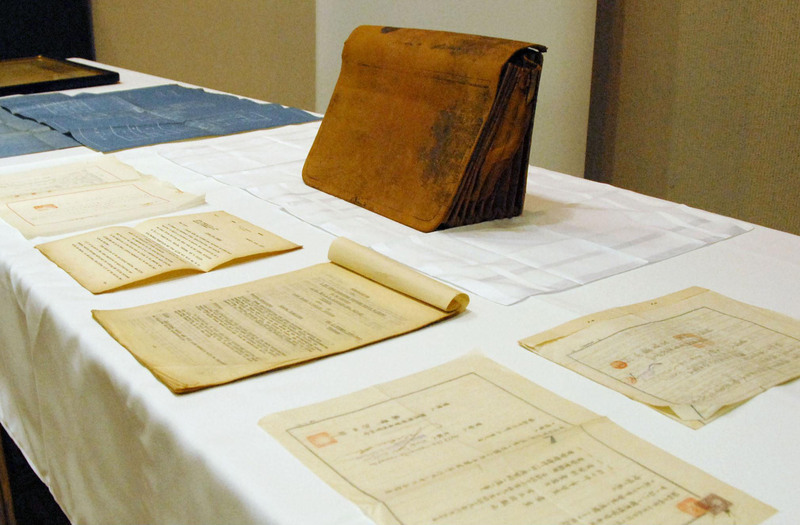 Researchers are combing the valuable contents of the brown leather briefcase, which was found in a warehouse, for information about Yokohama from that era, according to the Yokohama Archives of History. 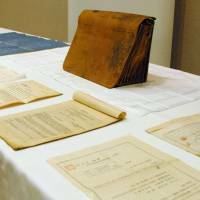 While the owner of the briefcase is unknown, it contained an architectural drawing of Yokohama’s General Hospital, the first in Japan for foreigners, along with an estimate and a contract for construction work involving Morgan (1873-1937). The architect came to Japan in 1920 and played an active role before and after the 1923 Great Kanto Earthquake. His other works include the old Morgan house in Fujisawa, Kanagawa Prefecture, which burned down in 2008, and Tohoku Gakuin University’s main building in Sendai.